The Kiwi Connection In Palestine. Conversation In The Public Square. "Clarkism" Still Driving The Labour Party. No Enemies To Labour's Left? Jacinda Has A Bob Both Ways On Syria. Waiting For The Market's Music To Stop. Should We Mourn Our Cancelled Tax Cuts? Racism And Colonisation: The Inseparable Twins. 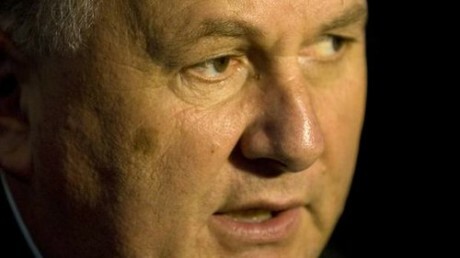 Shane Jones’ Critique Of Bureaucratic Obstructionism Is Well Made. On To Something: Now, it may be that Shane Jones simply fancies himself as an economic czar surrounded by cronies and flunkies who treat his word as law. And that, I’m prepared to concede, is a profoundly disturbing picture! More likely, however, is that Jones is lashing out in frustration against a system specifically designed to thwart the promises and plans of populist politicians like himself and his leader. SHANE JONES is on to something. Whether it’s the thing I think he’s on to, or something else entirely, I don’t know. For the sake of argument, however, let’s just assume we’re both onto the same thing – and take it from there. And what is “the thing” we’re on to? The problem of bureaucratic obstructionism. As Minister of Economic Development, Jones is appalled and frustrated by the time and effort required to get anything done in New Zealand. The Labour-NZ First coalition government has given him a billion dollars to kick our flagging regional economies into life. He wants to get cracking – but the bureaucratic obstacles in his path are holding him up. He wants that to change. As an incoming minister in a new government, he wants to be able replace the incumbent bureaucratic bosses with his own people. That way, the enormous power conferred upon the Crown’s CEO’s by the State Services Act could be harnessed to the core democratic duty of making his party’s election promises come true. In theory, this is precisely what is supposed to happen under the existing system. Government ministers inform their CEO’s as to what is expected of them – policy wise – and it is then their job to make sure the policy is carried out. Between the communication and the execution of the policy, however, a Minister’s bureaucratic advisers are expected to offer “free and frank advice” as to whether the measures being proposed are practical, affordable or even desirable. When that discussion ends, however, the responsibility for actually implementing the agreed policy rests almost entirely with the CEO – not the minister. Herein lies the problem. A minister can lead his bureaucratic horses to water, but he cannot make them drink. While the CEOs and all the bureaucrats under them are deemed to be acting as their ministers’ “agents”, the ministers – their “principals” – are expected to let them get on with it. Direct interference by politicians in the day-to-day implementation of government policy is a big no-no. Couldn’t the minister just cajole, or even threaten, his bureaucrats into doing his bidding behind the scenes? Well, yes, he could try. Unfortunately, that sort of behaviour has a habit of being leaked to the news media. Before the minister knows it, the State Services Commissioner is being asked to investigate, and the minister is being asked by the prime-minister to giver her one good reason why she shouldn’t ask him to surrender his ministerial warrant immediately. The news media can also come in very handy in the event of a minister point-blank refusing to accept the “free and frank” advice of his bureaucrats. The fact that a minister’s “expert advisers” have unanimously pronounced his policies to be impractical, unaffordable and undesirable – only to be ignored – will always be front-page news. Especially when the details of that official advice are helpfully released to a TV network under the Official Information Act, or passed to a press gallery journalist in a plain brown envelope. How can this be democratic? Surely, if a political party, or parties, are elected on the basis of a particular set of economic and social policies, then the sort of bureaucratic obstructionism (or outright subversion) described above can only be described as running completely counter to the government’s democratic mandate? The sad answer to these politically charged questions is that the executive arm of the New Zealand state is not designed to serve democracy – but to thwart it. It was reconfigured in the 1980s to make sure that the way the populist National Party prime minister, Rob Muldoon, governed New Zealand could never be replicated. As both Prime Minister and Finance Minister, Muldoon intervened directly and repeatedly in the country’s economy. He froze wages and prices and fixed rents and interest rates. He committed the country to “Think Big”, a vast programme of public works and joint-venture energy projects. The strong objections of Muldoon’s bureaucratic advisers – particularly those in the Treasury – were brusquely overruled. The whole point of the State Sector Act was to sever the cables that had connected the levers in Muldoon’s hands to the big economic and administrative engines powering post-war New Zealand. That this frankly undemocratic system has functioned more-or-less effectively for so long is due to the acceptance by all but one of the country’s major political parties that a return to the bad old days of “Muldoonism” would be disastrous for New Zealand. The odd party out is, of course, NZ First – whose leader, Winston Peters (another populist) has always been a great admirer of Rob Muldoon. If you have ever wondered why Peters attracts so much venom from practically the entire political class: politicians, journalists, civil servants and business lobbyists; it’s because they understand that any politician who pledges to fulfil his party’s promises by reintroducing a “hands-on” approach to economic management cannot avoid exposing the undemocratic coding at the core of government management in New Zealand. Now, it may be that Shane Jones simply fancies himself as an economic czar surrounded by cronies and flunkies who treat his word as law. And that, I’m prepared to concede, is a profoundly disturbing picture! More likely, however, is that Jones is lashing out in frustration against a system specifically designed to thwart the promises and plans of populist politicians like himself and his leader. I don’t believe it’s his ego that Jones is seeking to gratify – but the people’s will. This essay was originally posted on The Daily Blog of Monday, 30 April 2018. The When And The How: Chris Trotter reads Marx in the Art Room of Heretaunga College, Upper Hutt, circa 1973. IN A RADIO INTERVIEW, earlier this week, I was asked how I became interested in politics. The question threw me for a minute, and I’m afraid the answer I gave was more about when – rather than how – politics first grabbed me. Truth to tell, it wasn’t really politics that grabbed me, but Bob Harvey. The young advertising executive’s astonishingly effective campaign ad for Norman Kirk’s Labour Party in the weeks leading up to the 1969 general election transfixed my 13-year-old self. That state-of-the-art split-screen montage of Kirk running up the steps of Parliament, while Labour’s chart-topping campaign song enjoined New Zealanders to “make things happen this year” left an indelible impression. Nearly fifty years later, I can still sing that song! That was the “when”. The “how” was different. The three years between the 1969 and 1972 general elections saw the flowering of the New Zealand counter-culture. There was something in the air – and it wasn’t just the smoke from cannabis reefers. The universities were where most of the action was, but even in the nation’s high schools, the whiff of revolution was unmistakable. I say “whiff” – but that is just a metaphor. The real vector for revolutionary ideas was the printed word. My art teacher was enrolled part-time at university and would bring copies of the student newspaper back to the art room. There, her senior pupils would devour them from cover to cover. It was the first time that I had ever encountered the possibility that there might me more ways of looking at the world than from the very limited perspectives of the daily press. Was the Vietnam War a noble struggle against communist aggression? Or, just the latest manifestation of western imperialism? Should politics be kept out of sport? If so, then why was the South African government politicising rugby? Was atmospheric nuclear testing safe? Or, were the French recklessly contaminating the pristine environment of the South Pacific? When, in November 1972, the New Zealand electorate threw out the only government I’d ever known, and the incoming Labour Party took bold action on all of the issues debated in the student press, it really did feel to me like a revolution. Perhaps that’s why, in the early months of 1973, I could be found on the mezzanine floor of the school library reading The Communist Manifesto by Karl Marx and Friedrich Engels. Recalling that moment, I find myself amazed that a New Zealand secondary school library actually possessed a copy of The Communist Manifesto! Most of all, though, I recall the sense of the world suddenly being made intelligible. Don’t get me wrong, reading Karl Marx – the 200th anniversary of whose birth, on 5 May 1818, is being celebrated across the world next weekend – didn’t make me want to rush out and join the Communist Party of New Zealand. What it did help me do, however, was understand capitalism. Not in the way a professional economist understands capitalism (which is hardly at all) but as a dynamic historical process that is constantly shaping and reshaping our world. “Constant revolutionising of production, uninterrupted disturbance of all social conditions, everlasting uncertainty and agitation distinguish the bourgeois epoch from all earlier ones. All fixed, fast-frozen relations, with their train of ancient and venerable prejudices and opinions are swept away, all new-formed ones become antiquated before they can ossify. All that is solid melts into air”. “All that is solid melts into air”: nothing I have read about capitalism in the ensuing 45 years (and I’ve read a lot!) comes anywhere close to capturing the essence of the system’s power to disrupt and transform as that spine-tingling phrase. As we plunge, headlong, into the age of robotics, artificial intelligence and catastrophic job-loss, only a fool would argue that Marx and Engels called it wrong. So, now you know the “when” and the “how” of my becoming both a student of, and a participant in, the art of politics. For nearly half-a-century, I have watched with a mixture of pity and awe as history has proved the authors of The Communist Manifesto correct. So much that I believed solid has melted into air. I’m still thinking about the “why”. This essay was originally published in The Waikato Times, The Taranaki Daily News, The Timaru Herald, The Otago Daily Times and The Greymouth Star of 27 April 2018. New Zealand's Collective Punishers: “I was proud of you as brave soldiers but now I am ashamed of you as cold-blooded murderers.” - Major-General Sir Edmund Allenby addressing New Zealand and Australian troops after the Surafend Massacre, December 1918. I DON’T KNOW which is more embarrassing: to have a lawyer called Trotter defending a woman who prostituted her own daughter; or a PhD history candidate called Trotter “Exploring the Kiwi connection as Israel turns70”. On balance, I’d have to say that the PhD history candidate is the more embarrassing of the two. That our justice system goes out of its way to ensure that every accused person is provided with effective legal representation is something of which we should all be proud. So, I doff my hat to Karl Trotter for his defence of the indefensible. To Sheree Trotter, however, I have only questions to offer – not the least of which is: How could a PhD history candidate’s description of Israel’s “Kiwi connection” not include the moving ceremony at Rishon LeZion and the brutal massacre at Surafend? Rishon LeZion (The First of Zion) was one of those settlements involved in what was, rather quaintly, referred to as, “the upbuilding of Palestine”. On 4 November 1917, New Zealand troops had participated in the Battle of Ayun Kara, located very close to Rishon LeZion. Twelve months later, the leader of the Zionist settlement invited the New Zealanders (who were still encamped close by) to a commemorative ceremony. Stirring words – and they clearly left a deep impression on the Kiwis. Because, just over a month after the ceremony at Rishon LeZion, on 10 December 1918, animated no doubt by their thirst for “liberty, justice and fraternity” troopers of the New Zealand Mounted Rifles Brigade, backed by their comrades in the Australian Light Horse, inflicted a gruesome collective punishment upon the inhabitants of the Palestinian village of Surafend. The night before, in the course of a botched robbery, a Palestinian Arab had shot and killed a New Zealand soldier, Trooper Leslie Lowry. The offender had been tracked back to Surafend and the Kiwis ordered the villagers to hand him over for punishment. When the villagers refused, the Kiwis and their Aussie mates, some 200 men altogether, marched the women and children out of the village and then proceeded to attack the men and boys who remained. Their weapons of choice were pick-axe handles and the heavy, canvass-sheathed chains used to haul supply wagons and field guns. They swung these with deadly effect against the Arab defenders. By the time the Kiwi and Aussie troopers marched out of Surafend, by now a smoking ruin, more than 40 Palestinian Arabs had been killed or wounded. This outburst aroused such mutinous resentment among the New Zealand and Australian troops that Allenby was soon forced to retract his words. 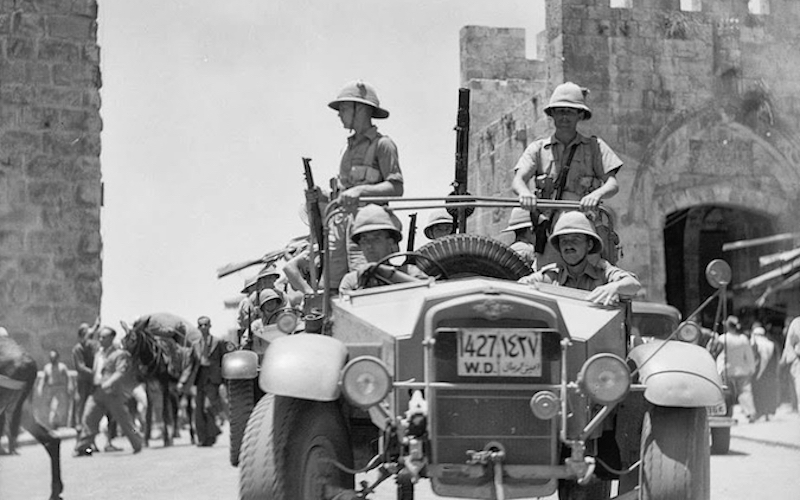 In the weeks ahead, as the British tightened their grip on the former Ottoman possessions in the Middle East, they would have need of that ANZAC muscle. When the New Zealand and Australian troopers were ordered into action against protesting Arab nationalists, the dreadful reputation they had fashioned for themselves at Surafend rode ahead of them. Thus, was the Balfour Declaration, which promised the Jews a national home in Palestine, given effect. Such, was the Kiwi connection with one of the earliest Zionist communities in Palestine. That sorrow-filled stretch of earth which would, forty years later, become the State of Israel. The lesson imparted by those murderous Kiwi and Australian soldiers on the night of 10 December 1918 – that Palestinian Arabs could be collectively punished with impunity – was one the Zionists never forgot. This essay was originally posted on The Daily Blog of Tuesday, 24 April 2018. IT WAS A BRIGHT mid-autumn day and I was waiting for an important call. Turning a corner, I found myself in the city’s broad public square. Given the time of day, it was surprisingly empty. There were fewer trees than I remembered and the tall corporate towers that reared up on every side restricted the amount of sunlight. There was one patch of it, however, a few metres distant, and a bench upon which I could sit and soak it up. So intent was I upon the screen of my cell-phone that I did not notice the old man’s arrival. I laughed rather self-consciously and explained that I was waiting for an important call. “Not compared to some of the days I’ve seen”, he sighed. “That, I could, son, that I could. This was such a vital place once – the centre of the whole city. Everybody came through here, one way or the other. And around the four sides of the square, were all the important buildings. The cathedral, the council chambers, the university – they were all here. Along with the playhouse, three or four cinemas, the public library and art gallery. 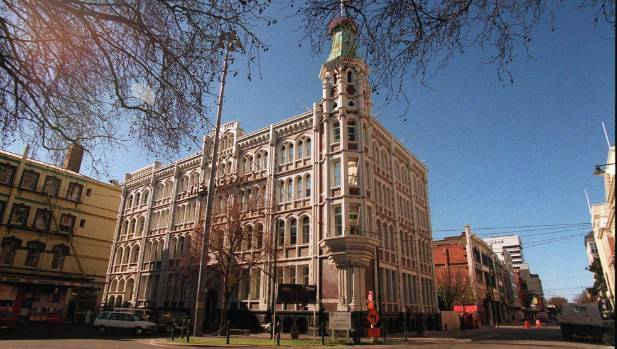 I remember the newspaper offices – both of them – and the television studios. I looked around. None of the buildings he’d described remained. In their place rose the headquarters of banks, insurance companies and accounting firms: glass and steel towers rising up, up, up above the public square. Some had preserved the facades of the older structures they’d replaced. They looked forlorn and out-of-place. As foreign to their new function as the corporations who had, so public spiritedly, preserved them. “It makes me wonder how the city could afford it all”, I responded. “Facebook! Twitter!” The old man practically spat out the words. “They’re eating the younger generation’s soul! And making Mark Zuckerberg millions of dollars every second! Listen, son, I remember standing in this square when it was full-to-bursting with young men and women. They carried banners and waved placards and shouted slogans. They came here to end a war; to sever all ties with Apartheid sport; to abolish nuclear weapons. And they weren’t brought here by Facebook or Twitter. They were brought here by pamphlets and posters; articles and columns; documentaries and current affairs shows on radio and television. Dear God, son! It’s what the public square is for! From my pocket, my cellphone trilled insistently. I turned away, clamping the phone tight to my ear to hear more clearly what the person at the other end of the call was saying. But the old man had gone. The column you have just read is my last for The Press. I sign-off with an immense sense of gratitude at having been afforded the privilege of addressing its readers for the past eight years. Cantabrians have lived through a great many tragic and tumultuous events since 2010 and I wish to thank most sincerely all those who, in the midst of stress and strife, still found the time to read and respond to my words. In taking my leave, may I wish the brave and resilient citizens of Christchurch the very best of futures. This short story was originally published in The Press of Tuesday 24 April 2018. Lighting Up The International Stage: New Zealand's young, pregnant prime minister has won the hearts of the French, German and Commonwealth leadership. Her easy familiarity and great personal warmth has proved to be as captivating as it was refreshing. Even the Deputy Leader of the Opposition, Paula Bennett, was moved to describe Jacinda Ardern as "beautiful". IT’S IMPOSSIBLE for fair-minded Kiwis to be anything other than immensely proud of their prime minister. Watching Jacinda Ardern interact with the likes of Emmanuel Macron, Angela Merkel and Justin Trudeau, one is repeatedly struck by her easy familiarity and personal warmth. That she has captivated these leaders is obvious to all but her most hardened opponents. According the latest One News/Colmar-Brunton opinion poll, the Labour-NZF-Green government continues to be the clear choice of a comfortable majority of the New Zealand electorate. The same survey puts Jacinda an embarrassing 27 points ahead of the Leader of the Opposition, Simon Bridges, in the preferred prime minister stakes. There is a strong sense of purpose about this government which is keeping the electorate on-side. Its supporters should be feeling confident and relaxed about the future. At the core of their uneasiness is a sense that Jacinda’s government is seen by an alarmingly large number of New Zealanders as something akin to the sort of puppet regime an occupying army might impose on a conquered population. They look at Jacinda and her ministers through narrowed eyes – suspicious of everything they do. Even when the measures this government announces are for the benefit of themselves and their families – like the winter energy subsidies soon to take the sting out of cost of keeping their houses warm – there’s a sullen refusal to be impressed. As if the payment was nothing more than a bribe. This deep-seated cynicism towards Jacinda’s government has its origin in New Zealand’s very own Dolchstoßlegenden. (Stab-in-the-back myth) Just as the German Right refused to believe that Germany’s armies had been beaten decisively in World War I: preferring instead to believe that they had been betrayed by treacherous left-wing politicians and shadowy Jewish influencers in the rear; the New Zealand Right is firmly convinced that the National Party was kept out of power by the self-interested (and probably unconstitutional) machinations of Winston Peters. That a government which does not include the party receiving the largest number of votes can nevertheless be accepted as legitimate by the “liberal elites” is, for the Right, a mystery reeking of treason. The position of Jacinda’s government is not made any easier by elements within the news media who act as if the Right’s suspicion and resentment is, in some unexplained way, justified. In spite of the fact that the Labour-NZF-Green government has been in office barely six months, and ignoring the almost daily revelations of the previous government’s extraordinary derelictions and mismanagement, they lash Jacinda’s ministers as if they alone are responsible for the fact that the country’s infrastructure is, quite literally, rotting away. These alarming displays of the media’s mendacity have lately acquired a much more sinister tone. It’s as if every editorial office in the country has received a memo from somewhere deep inside the Five Eyes’ national security apparatus that “Russophobia” is the order of the day; and that, for failing to follow its orders with sufficient enthusiasm the Ardern Government must be brought to heel by unrelenting media pressure. We are thus treated to the spectacle of Newstalk-ZB’s Mike Hosking taking Jacinda to task for putting her faith in diplomacy and the UN Charter – as if the doctrine of “Might Makes Right” has not, over the course of the last 104 years, turned the world into a charnel house and made possible the worst crimes in human history. It was the American journalist, Upton Sinclair, who remarked that “it is very difficult to make a man understand something when his salary depends upon him not understanding it”. 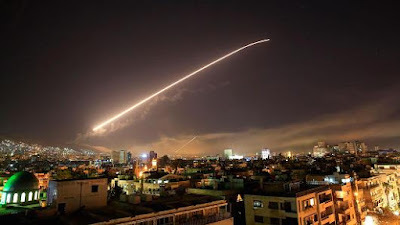 The near unanimity now prevailing in the New Zealand news media that the West must “stand up to Russia”, coupled with its refusal to subject the claims of the United States, the United Kingdom and France to even a modicum of critical interrogation, speaks to a level of hysteria which, in the past, has been the prelude to war. This is the bellicose atmosphere in which Jacinda, with all her openness and warmth, has been determined to represent her country’s long-standing allegiance to the UN Charter and her own transparent preference for a peaceful resolution to the Syrian crisis. Her courage and honesty are contagious: as may plainly be observed in her colleague Megan Woods’ steely determination to bring the EQC into line; and in Andrew Little’s fulfilment of Labour’s promise to open the Pike River drift. It is the illumination which this government’s actions continue to generate which explains the rising level of hostility to its policies. For nearly ten years this country was kept in the dark. In that darkness, tragedy and failure could be kept hidden: and what too many eyes refused to see, too many hearts declined to grieve over. But now a majority of New Zealanders’ eyes are open, and they can see the decay, destruction and delay that are John Key’s and Bill English’s true legacy. For the 44.5 percent of the nation who voted for National, the shame of its legacy is hard to bear. Much easier, is to translate that shame into hatred for the people who forced them to feel it. In a country where darkness and deceit allowed the lucky to grow fat undetected, while others less fortunate suffered unseen, a government determined to bring light and uncover truth will always, by some, be regarded as the puppet regime of an occupying army. This essay was originally posted on The Daily Blog of Friday, 20 April 2018. Britain's Interests Nowhere Near The Moral High Ground. And Never The Twain Shall Meet: Britain’s spoils from the First World War were many, but its greatest prize was indisputably the vast territories formerly controlled by the Ottoman Empire (whose territory we invaded on 25 April 1915). Between them, Britain and her principal wartime ally, France, carved up the Middle East as if it was an oil-soaked Christmas pudding. IN JUST A FEW DAYS tens-of-thousands of New Zealanders will gather to commemorate the 102nd anniversary of the ANZAC landings. All the usual bromides about heroism, sacrifice, freedom and democracy will be trotted-out. Young people, who are featuring more and more in contemporary Anzac Day ceremonies, will construct their public remarks on the foundational assumption that, in 1915, New Zealand stood on the moral high ground. (By which they mean alongside Great Britain). It does not do to question this assumption. April 25 is this country’s Day of the Dead – and the Dead must be respected. Britain’s spoils of war were many, but its greatest prize was indisputably the vast territories formerly controlled by the Ottoman Empire (whose territory we invaded on 25 April 1915). Between them, Britain and her principal wartime ally, France, carved up the Middle East as if it was an oil-soaked Christmas pudding. Nations that are still, more than a century later, providing the world with its blackest headlines: Palestine (now Israel) Iraq, Syria, Saudi Arabia; were all cradled in the intersecting lines of British force and British interests. Young protesters may have waved placards decrying the exchange of young blood for oil during the first Gulf War of 1991 but, rest assured, the idea – if not the slogan – is much, much older than that! Not that all the people of the region were content to live their lives enmeshed in the lines of British force and British interests. Many of them rose in rebellion against the British Empire – just as T.E. Lawrence, “Lawrence of Arabia”, had encouraged them to do against the Ottoman Empire during the Great War. In 1920, anxious to conserve British blood and treasure while putting down these Arab revolts, the then British Secretary of State for War, Winston Churchill, recommended that the RAF deploy chemical weapons – mustard gas in particular. Gas, he insisted, was bound to inspire “a lively terror” in the rebel-held territories. Not that Great Britain restricted itself to terrorising the Arab peoples. In “Arabia” they were only too happy to secure a kingdom for the House of Saud. In a bewildering series of alliances forged and friendships betrayed, the British armed Abdulaziz al Saud and his fanatical Wahhabist militia and allowed them to take control of most of the Arabian Peninsula, including the holy Muslim cities of Mecca and Medina. When the Wahhabists attempted to spread their fundamentalist version of Islam beyond Abdulaziz’s new realm, he had their leaders mown down with British-supplied machine-guns. It was the beginning of a long and fruitful relationship between Great Britain and the Muslim world. In India the lines of British force and British interests were deliberately drawn between the Muslim and Hindu communities. While the British Raj endured, the purpose of these “divide and rule” tactics remained purely political. Only in 1947, as British rule was coming to an end, did they become geographical. It was the Foreign and Colonial Office that partitioned India and created the Muslim state of Pakistan. Saudi Arabia, Pakistan, Wahhabism: for the past 70 years these have been the nurseries for all manner of Islamic religious fanaticism and jihadi terrorism. Saudi Arabia gave us Osama Bin Laden, and Pakistan, when it wasn’t busy organising and supplying the Taliban, gave him shelter. And through it all, though increasingly difficult to discern clearly, the lines of British force and British interests have continued to run. Which countries are counted among the biggest importers of British military equipment? Saudi Arabia and Pakistan. The invasion we celebrate every year on 25 April continues to cast a very long shadow. Wherever Britain and the Anzacs were standing on that day, it was nowhere even remotely near the moral high ground. This essay was originally published in The Waikato Times, The Taranaki Daily News, The Timaru Herald, The Otago Daily Times and The Greymouth Star of Friday, 20 April 2018. The Sincerest Form Of Flattery: That “Clarkism” continues to be the driver of Labour policy is now impossible to either ignore or hide. Why else would Jacinda Ardern's finance minister (and Michael Cullen protégé) Grant Robertson have deliberately hamstrung the incoming progressive government with his absurd, unnecessary and politically indefensible “Budget Responsibility Rules”? WHEN THEIR FRIENDS aren’t listening, the people at the top of this government are referred to bitterly as the “Clarkites”. Specifically, we’re talking about the former staffers of Helen Clark: Jacinda Ardern, Grant Robertson and Chris Hipkins. More generally, however, the term is used to describe that fraction of the Labour caucus unwilling or unable to fault the economic and social management of Clark and her Finance Minister, Michael Cullen. That significant figures from the Clark Era: Mike Munro, Heather Simpson, Cullen himself; continue to play major, albeit behind-the-scenes, roles in the Ardern-led government, only reinforces the potency of the “Clarkite” epithet. Those Labour Party members unencumbered by stardust-speckled spectacles are beginning to comprehend that chronic government underspending goes back a lot further than Bill English and Steven Joyce. Finance Minister Cullen was a master at finding ways of diverting public revenues away from Labour’s traditional spending priorities: health, education, housing and welfare. Not only did Clark’s finance minister set up the so-called “Cullen Fund” in response to the non-problem of “unaffordable” superannuation; but he also made sure that KiwiSaver (and the state’s contribution to its participants’ accounts) was managed by private-sector investors. Cullen also refused to return the Accident Compensation Corporation to its original status as a pay-as-you-go scheme – thereby diverting billions of dollars into the seemingly never-ending process of fully-funding it. Funds that could have been used to upgrade the state housing stock; rebuild the capacity and efficiency of the nation’s railways; create a world-beating public transport system in Auckland and expand dramatically the country’s decrepit mental health services were, instead, piled-up in Scrooge McCullen’s money-bins. There was method to the Finance Minister’s penny-pinching, however. The more a government does for its citizens, the more they ask it to do. If their demands are met, then the resulting increase in state spending can all-too-easily boil-over into a full-blown fiscal crisis – necessitating savage reductions in government expenditure and unpopular tax increases. For Clark, the trick was to keep public expectations subdued by “under-promising and over-delivering”. For her strategy to succeed, however, it was necessary for Cullen to present the government’s books as being healthy – but not too healthy. A modest government surplus could be passed-off as evidence of prudent economic management. Too big a discrepancy between what the government collected and what it spent, however, and the voters would expect the surplus funds to be invested in improved public services and/or returned to them in the form of tax cuts. Cullen’s knack for making his surpluses disappear wasn’t just fiscally impressive – it was politically essential. In 2009, with the Global Financial Crisis in full swing, the incoming National Government suspended “contributions” to the Cullen Fund. Why? So that billions of freed-up dollars could be spent on keeping the economy’s head above water. Labour was highly critical of this decision: perhaps because it demonstrated exactly how much the Clark-Cullen Government had prevented itself from spending for the best part of a decade. That “Clarkism” continues to be the driver of Labour policy is now impossible to either ignore or hide. Why else would Robertson, Cullen’s protégé, have deliberately hamstrung the incoming progressive government with his absurd, unnecessary and politically indefensible “Budget Responsibility Rules”? Earlier this week, the Prime Minister acknowledged that she and her colleagues were aware that the previous government’s underspending was massive – they just didn’t realise how massive. And yet, not even this pre-election awareness of the nation’s need was enough to make them dispense with the Budget Responsibility Rules. Nor were they persuaded of the necessity of abandoning their “No New Taxes Before 2020” pledge. No sensible New Zealand economist believes Robertson’s self-denying ordinances to be either necessary or ethical. If opened, the bulging money-bins described above would remove the urgency (if not the argument) for raising taxes. So, why do the Clarkites refuse to be swayed? The answer lies in their fear of losing control. If Labour credits the people with the answers, then how are they to be kept in its debt? This essay was originally published in The Waikato Times, The Taranaki Daily News, The Timaru Herald, The Otago Daily Times and The Greymouth Star of Friday, 13 April 2018. Why Is James Shaw Smiling? Labour's motto, when it comes to potential political challengers, has always been: "No enemies to our left!" Given the recent history of Labour's left-wing competitors, the Green Party co-leader's broad smile is probably misplaced - especially given where he's standing! THE BIGGEST THREAT to NZ First’s and the Greens’ political survival is Labour deciding that it doesn’t need them. Practically from the moment it moves into the Beehive, the Labour Party has a nasty habit of displaying an entirely unjustified confidence in its own political competence. This unfortunate mindset may be traced all the way back to the fourth Labour government of 1984-1990. Labour’s extraordinary arrogance persisted into the MMP era. Scant respect was given to the ideas and priorities of coalition partners by senior Labour ministers who tended, if they were feeling charitable, to dismiss their allies’ policies as unsophisticated and ill-conceived or, less charitably, as just plain nuts. Labour’s core assumption still appears to be that only its ministers possess the skills and credentials necessary to deliver effective government. What do they mean by effective government? Once again, the legacy of Rogernomics is evident. “Effective government” generally appears to mean implementing policies designed to earn Labour the respect of the other members of the power elite: business leaders, the news media, senior civil servants. Such a mindset would regard it as politically suicidal for NZ First and the Greens to resist the power elite’s effective government policies. It would argue that, in the face of such recalcitrance a snap-election would have to be called and the recalcitrant parties (Labour’s erstwhile coalition partners) would be bundled unceremoniously out of Parliament. With the support of NZ First’s and Greens’ more “realistic” voters and the assistance of a significant “Trash Vote”, either of the two major parties would be well-placed to win the election outright. Hence the Labour leadership’s confident assumption that their allies will always be persuaded to see sense – just as they were over the Trans-Pacific Partnership. The recent history of populist parties in New Zealand demonstrates the enormous danger of entering into political relationships with parties more interested in the good opinion of the power elite than the people. As NZ First, the Alliance, United Future, Act and the Maori Party have discovered, the only reliable companions for populists are – other populists. Certainly, formal coalitions and confidence-and-supply agreements negotiated with “mainstream” political parties have proved extremely costly to their junior partner/s electorally. The explanation for the sometimes-fatal outcomes of these political deals is simple. Large political parties – be they of the centre-right or the centre-left – have absolutely no interest in allowing electoral competitors to grow at their expense. In the ruthless political calculations of political centrists not even ideological soulmates, such as Act, the Alliance (and now the Greens) should be spared. Consider the actions of the National Party under Don Brash. Having seen upwards of 13 percent of the right-wing vote drift across to Act and United Future, he was determined to reassemble National’s errant supporters under the party’s tattered banner. In this, at least, Brash was astonishingly successful. National’s share of the Party Vote rose from a record low of 21 percent in 2002, to 39 percent in 2005. Labour’s long-standing motto: “No enemies to our left!” references identical strategic thinking. In the 2002 general election, Labour’s “enemy” was the socialist rump of the Alliance. Had Helen Clark wished to preserve a radical “pathfinder” party to her left, she could have tipped the wink to Labour supporters in Waitakere to cast their electorate vote for the Alliance’s Laila Harre – just as she had to Labour’s Coromandel voters in order to get the Greens’ Jeanette Fitzsimons into Parliament in 1999. In 2002, however, no wink was tipped and the Alliance died. It might be objected that the present Labour-led government, by fulsomely fulfilling its promises to its partners – especially the Greens – is demonstrating an entirely new approach to coalition politics. Upon closer inspection, however, it is clear that all Labour has done is convey an impression of environmental activism. As the former Green Party co-leader, Russel Norman – now the NZ Director of Greenpeace – was quick to point out, Labour’s decision to issue no new oil and gas prospecting permits offers no impediment to utilising fully those already granted. The greening of the Labour Party may be more apparent than real. Which is why, as he listened to Jacinda Ardern talking-up Labour’s environmental credentials last week, James Shaw's broad smile may have been misplaced. Did he not realise that, looking out from the stage, he was standing to her left? This essay was originally posted on The Daily Blog of Tuesday, 17 April 2018. Hard Choices: When confronted with an unsanctioned military strike against a fellow member of the United Nations, a New Zealand prime minister has two viable choices. Either, she can line up behind New Zealand’s traditional allies and deliver a hearty endorsement of their actions. Or, she can take a stand on principle and distance her country from the justifications, decisions and actions of the aggressors. THE LATEST STRIKE against Syria [14/4/18] marks a further deterioration in the conduct of international affairs. Of more concern, however, is the quality of the response it elicited from Jacinda Ardern. The New Zealand Prime Minister’s remarks were not the sort to inspire either confidence or respect. New Zealand prizes highly its contribution to the formation of the United Nations. The Labour Prime Minister, Peter Fraser, worked hard to advance the rights of small nations at the San Francisco conference which gave birth to the UN in 1945. Fraser, and just about every Labour PM since 1945, has chafed against the veto-powers of the five permanent members of the UN Security Council – rightly predicting that they would severely constrain the UN’s mandate to keep the global peace. Identifying the UN as the most appropriate forum for resolving the Syrian crisis and decrying the use of the Veto was, therefore, an entirely predictable and consistent position for New Zealand’s present Labour Prime Minister to adopt. That support would have grown if she had further declared her disappointment that military action had been initiated by the US, France and the United Kingdom (all permanent members of the Security Council) before inspectors from the Organisation for the Prohibition of Chemical Weapons (OPCW) had been given a chance to examine the scene of the alleged attack, gather samples, and make their report. The alleged chemical attack in Eastern Ghouta pales into insignificance when set alongside the 1962 Cuban Missile Crisis, and yet, in the latter case, the Americans were eager to present the UN Security Council with photographic evidence of their claims. There has been no equivalent evidential presentation in 2018. Nor should it be forgotten that the Cuban Missile Crisis was resolved peacefully. This time, in spite of the risks, fighter-bombers and cruise missiles have been sent into action. This essay was originally published in The Press of Tuesday, 17 April 2018. 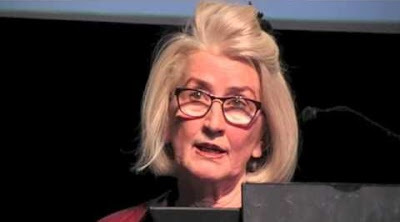 Prophetess Of Economic Doom: Political Economist Ann Pettifor cannot say exactly what will trigger the next global crisis. A sharp uptick in interest rates – especially in the United States – could do it. Or, the outbreak of a full-scale trade war between China and the USA. More likely, however, the crash will be precipitated by pure fear. Terrified of their loans not being repaid, lenders will raise the cost of money beyond the borrowers’ capacity of to pay. That will be the signal. JOHN TULD: So, what you’re telling me, is that the music is about to stop, and we’re going to be left holding the biggest bag of odorous excrement ever assembled in the history of capitalism. PETER SULLIVAN: Sir, I not sure that I would put it that way, but let me clarify using your analogy. What this model shows is the music, so to speak, just slowing. If the music were to stop, as you put it, then this model wouldn’t even be close to that scenario. It would be considerably worse. JOHN TULD: Let me tell you something, Mr. Sullivan. Do you care to know why I’m in this chair with you all? I mean, why I earn the big bucks. JOHN TULD: I’m here for one reason and one reason alone. I’m here to guess what the music might do a week, a month, a year from now. That’s it. Nothing more. And standing here tonight, I’m afraid that I don’t hear - a - thing. Just ... silence. That was the fictional exchange going through my head this morning (9/4/18) as I listened to Ann Pettifor give AUT’s Policy Observatory her all-too-factual analysis of the global economic situation. Seldom have I emerged from an academic gathering with such a feeling of dread. The British political economist’s words shook me to the core. Like John Tuld in Margin Call, Ann Pettifor is also convinced that the music is about to stop. The supposed worldwide economic “recovery” from the Global Financial Crisis of 2007-2009 has been fuelled, almost exclusively, by debt. Debt on an unimaginably large scale. Debt so big that it would require the value of all the goods and services created in the world for the next four years to pay it back. Theoretically, all of this debt is secured by the assets against whose value it has been issued. But, as Pettifor (Fellow of the New Economics Foundation, Honorary Research Fellow at London’s City University, and economic advisor to Jeremy Corbyn) reminded her listeners, so was the debt issued by the banks in the run-up to the GFC. On 9 August 2007, however, the global banking fraternity – no longer convinced they could accurately value the financial instruments being offered as collateral for their loans – simply stopped lending to one another. This was “Detonation Day”: the moment when the GFC became both inevitable and unstoppable. Everything now points to another such detonation being imminent. Pumped-up by the steady expansion of global liquidity the world’s stockmarkets have climbed to giddy and unprecedented heights. Over the last few weeks, however, the value of the stocks and shares traded on the world’s exchanges has fluctuated wildly. Such volatility, warns Pettifor, almost always precedes a catastrophic market crash. Exactly what will trigger the next global crisis is impossible to predict. A sharp uptick in interest rates – especially in the United States – could do it. Or, the outbreak of a full-scale trade war between China and the USA. More likely, however, the crash will be precipitated by pure fear. Terrified of their loans not being repaid, lenders will raise the cost of money beyond the borrowers’ capacity of to pay. That will be the signal. The moment when one or more of the real John Tulds out there will strain his ears to catch even the faintest echo of the market’s music, but will not hear – a – thing. This essay was originally posted on The Daily Blog of Tuesday, 10 April 2018. Will Marama Davidson Grow, Or Shrink, The Green Party Vote? From The Left: For the first time in their history, the Greens have used a leadership election to shift their party to the left, not the right. Marama Davidson’s defeat of Julie Anne Genter by 110 votes to 34 would have delivered an important message to the electorate even if the Greens were still in opposition. Sent at a time when the Greens are in government, the signal to voters is potentially catastrophic. “THIS IS WHAT you get when the Greens are in government.” In the mouth of the Greens’ male co-leader, James Shaw, it had the unmistakable ring of a campaign slogan. A good campaign slogan, which would have fitted Julie Anne Genter like a glove. Whether it can be worn by the Greens’ new female co-leader, Marama Davidson, remains to be seen. For the first time in their history, the Greens have used a leadership election to shift their party to the left, not the right. Davidson’s defeat of Genter by 110 votes to 34 would have delivered an important message to the electorate even if the Greens were still in opposition. Sent at a time when the Greens are in government, the signal to voters is potentially catastrophic. That the Green Party was returned to Parliament at all in 2017 was in no small measure due to those New Zealanders who would otherwise have voted Labour casting their Party Vote for the Greens – just to keep them in Parliament. In this rescue effort, the steady, back-to-basics leadership style of James Shaw was crucial. Implicit in Shaw’s moderation was the clear acknowledgement that Metiria Turei’s radicalism had hurt the Greens much more than it had helped them. Without that acknowledgement and unaided by the Centre-Left’s strategic voting, the party would have struggled to clear MMP’s 5 percent threshold. The decisive margin of Davidson’s victory over Genter indicates a rank-and-file membership that is either unable or unwilling to accept that turning their party sharply to the left is an extremely risky electoral gesture. In 2017, the parties of the left fell well short of a parliamentary majority. They are only in government because NZ First’s conservative nationalists were unwilling to entrust the fulfilment of their populist agenda to Bill English’s National Party. The political significance of Peters’ decision to exclude the Greens from the Labour-NZF coalition appears to have eluded Davidson’s supporters entirely. The coalition partners will now be watching anxiously as the full implications of Davidson’s decisive victory begin to manifest themselves in the Greens’ parliamentary caucus. Its two young firebrands, Golriz Ghahraman and Chloe Swarbrick will draw considerable satisfaction from the result. With Davidson’s election as co-leader offering incontrovertible evidence of the party’s radical aspirations, they will feel emboldened to (in the words of Davidson’s acceptance speech) “go even further, be even bolder”. Neither Peters nor Prime Minister Ardern will be looking forward to discovering exactly how far, or how bold. That the Green Party’s 144 delegates chose to cast their votes the way they did reflects the “mood” of the Left both locally and internationally. At the heart of that mood lies a deep-seated antagonism towards power-structures seemingly resistant to all but the most intense political pressure. Be it Harvey Weinstein in the US, or Russell-McVeagh in New Zealand, the effort required to sensitise powerful individuals and institutions to public outrage is enormous. Right alongside this antagonism towards the elites, however, is a growing sense of alienation from the restraints of democracy itself. Young activists in particular find it less and less acceptable that numerical majorities have the power to over-ride and/or set-aside their demands. Why should old people, white people, straight people and male people be permitted to thwart progressive change? Why should a majority so egregiously in the wrong be able to defeat a minority so manifestly in the right? If that is all that democracy has to offer, then what, practically-speaking, is its political value? Isolate these sentiments in their own self-reinforcing social-media bubble and the result is often a ferocious up-tick in self-righteous intolerance. Far from being perceived as virtuous, the democratic politician’s admonition that ‘we must take the people with us’ is derided as proof of political weakness and moral cowardice. It would be interesting to discover how many of the Young Greens who threatened to quit the party if Davidson was not elected female co-leader would respond to Senator Barry Goldwater’s in/famous assertion that: “Extremism in defence of liberty is no vice. Moderation in pursuit of justice is no virtue.”, by clicking “Like”. Few, if any, however, would object to the passage in Davidson’s acceptance speech enjoining her parliamentary colleagues to rise as one and “turn our faces to the streets”. Not, presumably, the streets of the leafy suburbs where the Greens get most of their votes, but the mean streets of Manukau East and Mangere – where they attract the least. Those Green voters from the leafy suburbs would likely have responded positively to Julie Anne Genter when she pointed to her own and her party’s ministerial achievements and told them: “This is what you get when the Greens are in government”. Whether Marama Davidson’s “green shoots of hope” grow into a bumper harvest of new voters in 2020 is considerably less certain. This essay was originally published in The Press of Tuesday, 10 April 2018. Political Currency: Though they’ll never admit it, the logical consequence of the Taxpayers’ Union’s policies is indistinguishable from that of every other “taxation is theft” outfit: expanding the domain of public pain by deliberately reducing the opportunities for its concerted public amelioration. Like the far-Right American lobbyist, Grover Norquist, they are determined to get the state down to “the size where we can drown it in the bathtub”. In reminding us of this fact, Taxpayers’ Union spokesperson, Lois Houlbrooke, laments the Labour-NZF-Green government’s decision to spend money that would otherwise have been returned to “working New Zealanders” on undeserving students and superannuitants. These “working New Zealanders” (the stock right-wing description of taxpayers as “hard-working” appears to have been discarded) are invited by Mr Houlbrooke to “mourn” the loss of their well-deserved windfalls. A few years ago, Mr Houlbrooke’s words would have fallen on a host of receptive ears. Today, I’m not so sure. In the months since their new centre-left government was sworn-in New Zealanders have begun to realise what happens when insufficient revenue is collected and insufficient public resources expended on the things that make for a civilised society. The scandalous condition of the Counties Manukau District Health Board’s facilities, shocking enough in themselves, have raised questions in the minds of citizens throughout New Zealand about their own DHBs. How much urgent remedial work to local health infrastructure has been deferred out of fear of ministerial rebuke? Are Middlemore Hospital’s walls the only ones filled with toxic mould? How many other DHB’s are hiding leaking sewerage pipes? These “bricks and mortar” problems pale into insignificance, however, when we are confronted with the ongoing crisis in New Zealand’s mental health services. With roughly one in every five Kiwis afflicted with mental illness at some stage of their lives, there are close to a million people out there in need of help which, assuming it can be accessed at all, will (in all but the most acute cases) be intermittent and inadequate. The pain and suffering, not only of the mentally ill, but also of their families and friends, is immense and unending. Though they’ll never admit it, the logical consequence of the Taxpayers’ Union’s policies is indistinguishable from that of every other “taxation is theft” outfit: expanding the domain of public pain by deliberately reducing the opportunities for its concerted public amelioration. Like the far-Right American lobbyist, Grover Norquist, they are determined to get the state down to “the size where we can drown it in the bathtub”. It’s hard to avoid the conclusion that many in these groups would happily see 99 percent of humanity drowning in there with it, providing the heads of the dominant 1 percent could be kept safely above water. Seldom has the Labour Party and its ideological allies been presented with a better opportunity to expose the National Party’s propensity to short-change the electorate. Under the rubric of “responsible economic management” (whose discredited mantras Simon Bridges has reiterated all week without shame) money that should have been spent on keeping New Zealand’s social infrastructure fit-for-purpose, was instead presented to the electorate as a financial “surplus” – fit only to be returned to the pockets of “working New Zealanders”. If ever there was a time for Jacinda Ardern and her Finance Minister to walk away from the “responsible economic management” falsehood – it is right now. What New Zealand has been subjected to for the past nine years does not merit the word management; had precious little to do with rational economics; and most certainly wasn’t responsible. 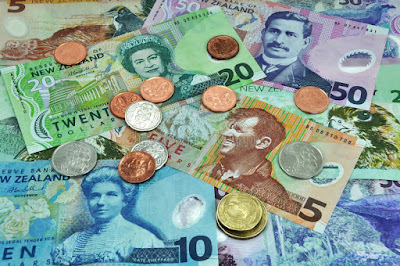 In its place, the Labour-NZF-Green government should pledge to govern New Zealand justly and fairly by raising the taxes required to reduce – swiftly and substantially – the unnecessary pain and suffering of its citizens. If it didn’t sound so Orwellian, I’d favour the “Tax Heroes” meme contributed to The Spinoff by IRD: “Tax is Love”. Because, in essence, that’s what progressive taxation is all about. Healing our sick. Teaching our young. Helping our poor. Sharing our wealth. The alternative? The procurement of private advantage through public squalor. This essay was originally published in The Waikato Times, The Taranaki Daily News, The Timaru Herald, The Otago Daily Times and The Greymouth Star of Friday, 6 April 2018. Why I'm A 'Russlandversteher' - A 'Russia Understander'. 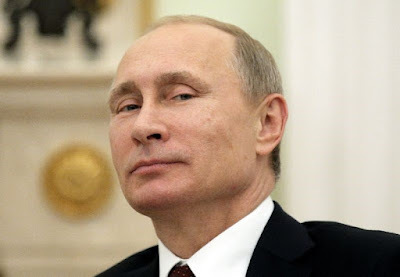 Political Hard Man: Is Vladimir Putin, a former KGB colonel, a hard man? Yes, he is. But after the democratic delights of the Yeltsin years, a hard man was exactly what the Russian people were looking for - and are happy to keep voting for. BEFORE CRITICISING THOSE who continue to treat Russia as an “evil empire”, I should first explain why I am happy to embrace the German title of Russlandversteher - Russia Understander. It’s not only because I know that without the extraordinary sacrifices of the Russian people during the Second World War (twenty million dead!) the United States and British Empire losses would have been much, much higher. It is also because our side – the West – has consistently demonstrated the most appalling bad faith towards the Russians. How any nation on the receiving-end of such strategic malevolence could end up being anything other than defensive and mistrustful is difficult to imagine. Consider the fact that the Manhattan Project (the United States and British effort to create an atomic bomb) was deliberately kept secret from the Soviets. A weapon which, had it been used against Nazi Germany, could have saved millions of Russian lives (as it almost certainly saved millions of American lives when used against the Japanese) was withheld from the nation that was doing all of the heavy-lifting against fascism. How would you have reacted to the news that your allies were developing a new super-weapon without you? Do you think it would have increased your level of trust in the USA and the British Empire? Or, would it have pushed your paranoia to new heights? Would it have caused you to be relaxed about the political complexion of post-war Eastern Europe? Or, would it have led you to create a series of socialist buffer-states under strict Russian control? Never forget, the Cold War began at a time when the Soviet Union lay in ruins: its people and economy utterly exhausted; and its armed forces completely vulnerable to the USA’s growing stockpile of atomic weaponry. Was Joseph Stalin really going to risk the total annihilation of what remained of the Soviet population by ordering the Red Army to advance all the way to the English Channel? It is also worth remembering that even after the Soviet Union acquired its own atomic weapon in August 1949, not one Russian combat-boot was ever stamped upon the soil of the so-called “Free World”. Fast forward to the collapse of the Soviet Empire between 1989 and1991. Was there ever a more auspicious moment to turn the page on mutual and assured destruction and demilitarise the entire European continent? The last Soviet leader, Mikhail Gorbachev, certainly believed that such a moment was at hand. He sought – and was given – the personal assurance of the American president, George H.W. Bush, that the Nato powers would not attempt to fill the power vacuum created by the collapse of the Warsaw Pact. Did Nato keep its promise? Like hell it did! Within the space of a very few years, new Nato members ringed the territory of the Russian Federation. Stalin’s worst fears had become the Russian Federation’s strategic reality. And that wasn’t the worst of it. With the collapse of Communist Party rule, the Russian state and its vast portfolio of publicly-owned industries and natural resources was asset-stripped bare. With the “help” of the West’s economic “shock therapists”, the Russian Federation was transformed into a corrupt kleptocracy: a “mafia-state” ruled by a collection of “oligarchs” whose twisted characters Dostoevsky would have struggled to depict. Not surprisingly, the life-expectancy of the average Russian began to track backwards. This was the Russia that greeted Vladimir Putin when he was finally in a position to replace the Western powers’ favourite drunk, Boris Yeltsin. Was Putin, a former KGB colonel, a hard man? Yes, he was. But after the democratic delights of the Yeltsin years, a hard man was exactly what the Russian people were looking for. Was his arrival generally considered to be bad news for Russia’s oligarchs? You bet! Especially after Putin arranged for one or two of them to be put on trial in cages – to encourage the others. Was anybody in Russia, aside from a handful of Western-aligned politicians and journalists, unduly upset by their President’s actions? Not really. Not when soaring oil and gas prices were delivering higher living-standards to millions of ordinary Russian citizens. A prosperous and self-confident Russian Federation under strong political leadership was not, however, in Nato’s script. The deep-state denizens of the Western alliance looked at their maps and concluded (as so many geopolitical strategists had done before them) that the best way of getting their hands around Russia’s throat was through Ukraine. Putin watched with growing alarm as Ukraine’s very own colour revolution (i.e. Western-inspired protests followed by a Western-assisted election campaign) installed an anti-Russian regime just a few hundred kilometres from Moscow. When Putin’s pushback resulted in the creation of a Moscow-friendly government in Kiev, the West upped the ante. With the blessing of European Union leaders, neo-Nazi hoodlums were unleashed on the streets of the Ukrainian capital. The pro-Russian Government fell. For the first time since the end of World War II, the West accorded diplomatic recognition to an overtly fascist regime. We all know the rest. Russia annexes the Crimean Peninsula. Russian-speaking Ukrainians rise up against the fascists in Kiev. Russian volunteers cross the border in support. The West imposes sanctions and moves armoured units eastwards to “head-off Russian aggression”. Russian hackers of undetermined political status attempt to set off a colour revolution of their own. Donald Trump is elected President of the United States. Do I really need to write any more about the sort of people who denounce the Russian Federation and its leader? Or why I am so happy to be called a Russlandversteher? This essay was originally posted on The Daily Blog of Friday, 6 April 2018. An Unfortunate Perception: Can liberal democracy survive if the news media abandons evidence-based judgement and simply piles-on “as one” against a prime minister and her government? And what if it isn’t just the timing that’s consistent, but the message as well? What then? How is the public to avoid the impression that the news media is rooting for one side and not the other? WERE YOU AWARE of the Easter “pile-on”? The media assault on Jacinda Ardern’s credibility when, according to Herald journalist, Fran O’Sullivan: “the commentariat … basically rose as one and questioned her prime ministerial abilities”. Nothing remarkable in that, you might object, in a liberal democracy it is entirely right and proper for the news media to judge the performance of presidents and prime ministers. Yes, but shouldn’t such judgements be based on a sober and objective assessment of the leader’s actual performance? Isn’t that one of the critical (if unspoken) assumptions underpinning the whole notion of media freedom? Can liberal democracy survive if the news media abandons evidence-based judgement and simply piles-on “as one” against a prime minister and her government? And what if it isn’t just the timing that’s consistent, but the message as well? What then? How is the public to avoid the impression that the news media is rooting for one side and not the other? This is more than idle speculation. We have only to look at the United States to see what happens when a significant number of voters simply stop believing anything reported by media organisations which have not already identified themselves as co-partisans in the political struggle. Any negative story emerging from the other side’s “lying media” can be branded “fake news” and dismissed as further proof of its uncompromising mendacity. When President Trump tweets his outrage at “the lying New York Times”, liberal New Yorkers may puff out their chests with pride. The eyes of mid-western conservatives, however, will narrow with suspicion and their hatred of the “coastal elites” intensify. In a political environment as polarised as this, the openness and tolerance which liberal democracy needs to function withers and dies. It is impossible to engage in any kind of fruitful political discourse when every participant believes every other participant is lying. The media picture in New Zealand is further complicated by the absence of newspapers and radio stations which loudly and proudly advertise their partisan allegiances. Kiwis do not have the option of subscribing to the equivalent of the UK’s Guardian or Daily Telegraph. There is no MSNBC for liberals to watch; no Fox News for Kiwi conservatives. That being the case, the New Zealand news media has always strived to balance right-wing opinion with the perspectives of left-leaning commentators. This is not just a matter of fairness, it is vital to the maintenance of trust. Readers, listeners and viewers need to feel that somewhere in the mix of voices there is someone who speaks their language. Even more important than ensuring a diversity of opinion, however, is the news media’s responsibility to separate fact from fiction and apply a critical eye to the news it reports. With all these factors in mind, let us turn again to Ms O’Sullivan’s “Easter pile-on”. The two news stories which generated so much common outrage in the “commentariat” were Jacinda Ardern’s and Winston Peters’ response to the poisoning of Sergei Skripal and his daughter Yulia in the UK city of Salisbury; and the Prime Minister’s handling of Broadcasting Minister Clare Curran’s coffee-date with RNZ’s head of news and content, Carol Hirschfeld. In the Skripal case, the reportage and commentary (often filed by the same journalists and in the same story!) appeared to have been scripted by the UK Government. The only course of action which the commentariat was prepared to recognise as prime-ministerial is the one where Jacinda Ardern follows along behind the Russophobic UK Prime Minister, Teresa May, like a dutiful “Five Eyes” poodle. The very notion that the NZ Government might withhold its judgement until it possessed hard evidence of the perpetrators’ culpability was laughed out of court. Laughter, indeed, featured heavily in just about all of these commentaries – as in “New Zealand has become an international laughing-stock”. As if an independently-minded New Zealand prime minister was simply too risible a notion to be taken seriously. How quickly New Zealand’s political commentators have forgotten David Lange and the fourth Labour Government’s nuclear-free legislation. And how loath they are to recall the UK’s refusal to condemn the French perpetrators of state terrorism on NZ soil. That so many Kiwi journalists were willing to be guided by the same people who gave the world the “sexed-up dossier” on Saddam’s WMDs; the same country responsible for illegally invading Iraq; spoke very poorly of their ability to evaluate critically the news they were reporting. The state of NZ journalism was the unspoken theme running through the breathless reportage and commentary of the Curran-Hirschfeld coffee-klatch. Or, perhaps, it is more accurate to call it the State and NZ journalism. Because, at the heart of so many of the piler-ons’ commentaries lies a deep and abiding disinclination to view public service journalism through anything other than an aggressively anti-state lens. That Ms Curran may have enlisted the support of Ms Hirschfeld in her quest to reinvigorate public broadcasting was presented in the most sinister terms. That the RNZ Board may have been engaged in resisting the Government’s broadcasting policy was not considered sinister at all – quite the reverse. Prime Minister Ardern was castigated for not reining-in a minister who was clearly determined to extend the reach of “Red Radio”. As an accusation it played beautifully into the commentariat’s subtextual insinuation that this government isn’t just unacceptably socialist, but that its policies are being delivered with a Stalinist inflection. Why else would the PM refuse to condemn the actions of the obviously guilty Russian state and its ex-KGB president? A commentariat prepared to rise “as one” in its delivery of these rebukes risks alienating all but the most unreconstructed cold warriors and knee-jerk National supporters. Those less disposed to follow the lead of our “Five Eyes Partners” in the Skripal case, along with those who regard the reinvigoration of public service journalism as a very good idea, will feel both affronted and aggrieved by the “Easter pile-in”. Genuine media freedom, embodied in a diversity of political voices, can only strengthen the public’s trust in journalism. That’s because the truth is always a composite picture – never a single frame. When the commentariat “piles-in” with a single voice, it is not to our left-wing government that we should look for evidence of Stalinism. This essay was originally posted on The Daily Blog of Thursday, 5 April 2018.